Bed SOS: now that’s one way to rescue a guest room! With our guest room furniture finally here Kelly and I began the process of erecting it – which suprisingly took no time at all! The Birlea Toronto bed was, once again, purchased from Bed SOS on Wednesday with free next day delivery! We chose this white wooden bed as it looks beautiful against the wall paint, and personally we both love white wooden furniture. The white bedside cabinet and matching 4+2 drawer chest, part of the Birlea Cotswold range, was also purchased from Bed SOS with next day delivery – I love this company, dedicated to meeting their customers needs! With regards to the mattresses, we obviously needed two and to be honest we were not wanting to pay a lot of money for mattresses which will only occasionally be getting used. In the end we opted for two 3ft Deluxe mattresses from Bed SOS. I find it amazing just how quickly a bedroom can come together! After Going to the beach on Wednesday, which wasn’t really all that in the end due to overcast weather, Kelly and I returned home with lots of goodies for our home. 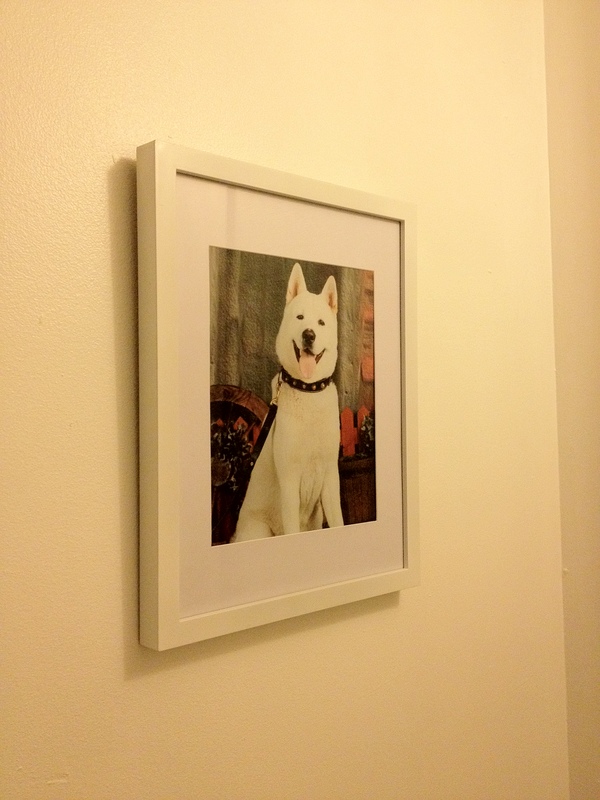 We had visited various shops looking for specific items such as light shades, ornaments and a new picture frame for my late dog Kato. I’ve mentioned in the past just how much I love B&M Stores, so when I noticed there was one in Redcar I just had to go in! Its always the same when I go in this shop – I start off carrying a hand basket and soon end up needing a trolley! Anyhow, after spending around an hour in this store Kelly and I were not disappointed. Within our trolley we had managed to get a teal light shade, beige vase, beige throw, cream throw, twig lights and a rattan heart for our spare room – all of which look desirable! For my office I also managed to get a light shade, back support for my computer chair and that all important white picture frame for Kato! We also bagged ourselves cream leather coasters for our bedside cabinets (perfect for when I have tea and toast in bed) and for our dining table we purchased a mulberry table runner and leather table mats. 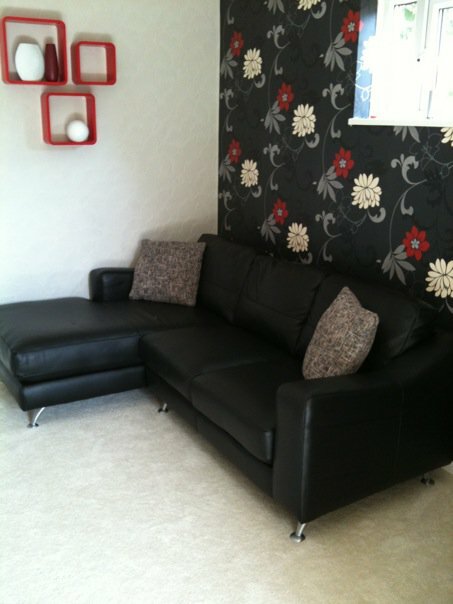 Our table actually arrived on Thursday along with our guest room furniture – so Thursday was a day of flat pack DIY! What do you use as your office space? 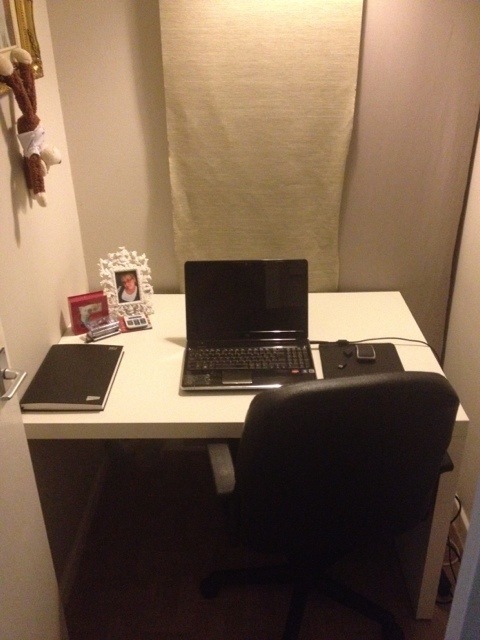 One of the major tasks Kelly and I have been carrying out in our flat over the weekend has been the transformation of the office – which once upon a time was used as a walk in wardrobe, as it’s not really a specific room, it’s more of an oversized cupboard! The office used to be finished in Dulux Egyption Cotton matt paint, which once looked fabulous but had become dull and boring! We decided to brighten up the office with a clean brilliant white silk paint, which was also Dulux. Above is a picture of how the office looked before we started decorating! The office doesn’t have any natural light pouring in to it (due to it having no windows) so white paint seemed the perfect colour choice. I can’t wait to shop for a new desk, let alone see the finished result! Keep Calm 4×6 picture update! So guys, just a quick update! This weekend I’ve been carrying out some small jobs around the flat. 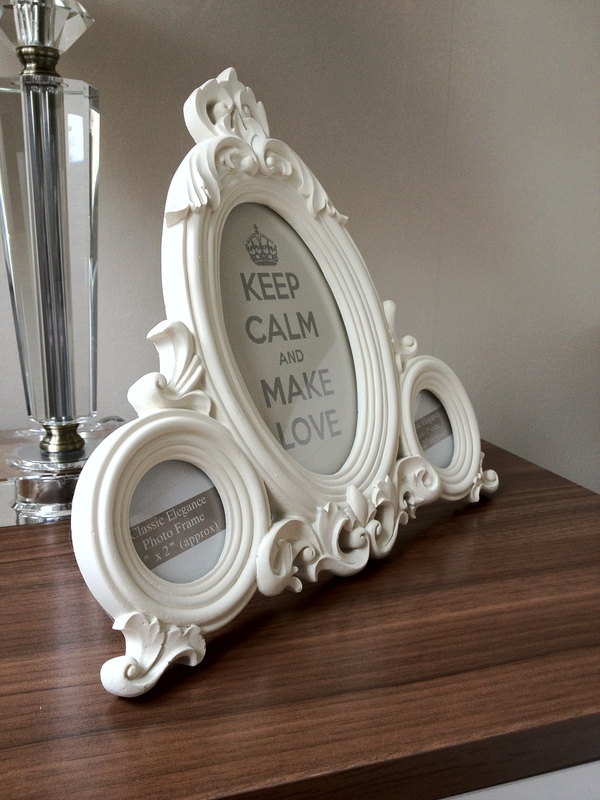 You’ve probably read a few posts regarding the ‘Keep Calm’ poster which I created weeks ago – well, I’ve finally cut it to size and placed it in our 4×6 picture frame which resides on our Birlea Lynx bedside cabinet in the bedroom. I love the colours which are in keeping with our bedroom decor. I also like the finished quality, which would not of been achieved had I of not printed the design on photo paper. All we need to do now is find two pictures for either side. 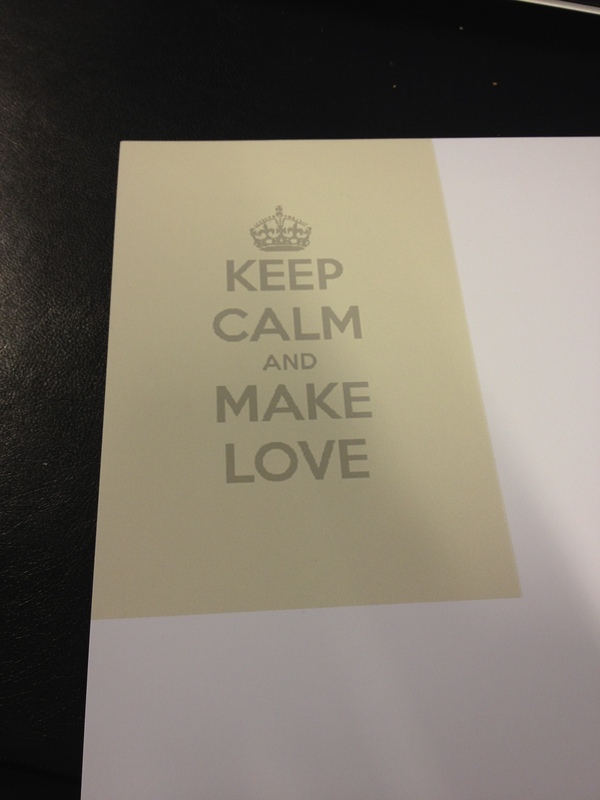 If you would like to create your very own customised ‘Keep Calm and….’ poster, just click here. Enjoy! HP Printer: Who da man! At last!! I’ve finally managed to get my printer to print me a rather nice copy of the ‘Keep Calm’ poster I designed weeks ago. The paper I used what Epson photo paper, of some description! I must admit I’m not a whiz kid on Adobe Photoshop – but I do think I’ve done a fantastic job fiddling around with the image in order to get it to a 4×6 size. It’s going to transform that Dunelm Mill picture frame which I spoke about earlier here. Today, although I’m ill, I’m determined to get that ‘keep calm…’ poster printed off on to the photo paper which I have had lying about the flat for what seems donkeys years! All I need to do is figure out the settings on the hp printer and I’m away! I shall keep you guys posted on how I get on – might be a few hours as I’m snowed under at work with ‘designer wrist watches!’. Decisions, decisions: shopping spree or alcohol madness? Hi guys! Well I hope you all had a fantastic bank holiday? Unfortunately I’ve been so busy the passed week that I haven’t been on here much, and I do apologise! So pressing on. Unfortunately I don’t drink, so when my mates decided they were all hitting Newcastle for ‘bank holiday drinks’ etc, I decided to spend my money on other things. Ive been needing some new clothes for quite some time (I mean it’s not everyday you wake up and realise you’ve piled 4 stone on – and all them designer threads no longer fit) so Kelly and I decided to trek through to Middlesbrough for some well deserved retail therapy, as there was nothing in Darlington! We had a right fab time looking around numerous shops and I just couldn’t resist browsing the home department of every store we entered. Call me sad, but I actually enjoy looking through fabric throws, textured cushions and anything touchy feely! 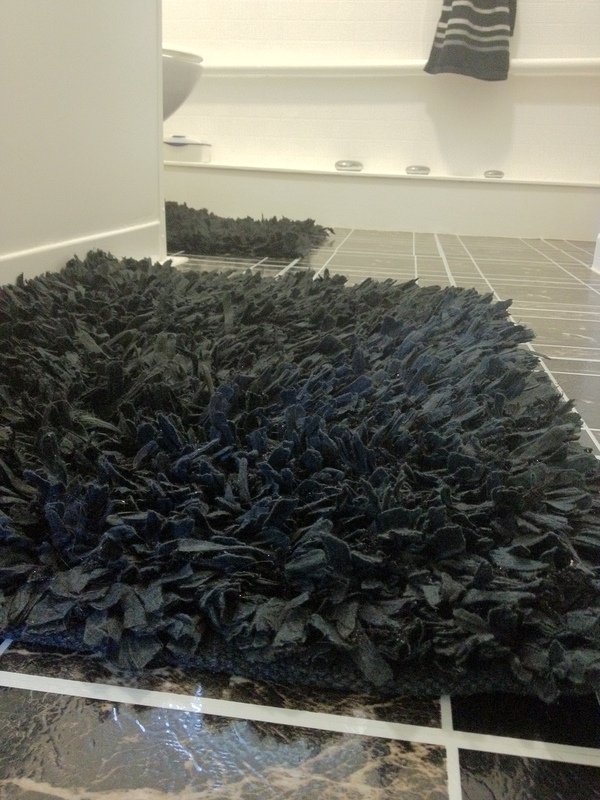 The bath mats I forced Kelly to buy are desirable – I love their shabby finish, black design and twinkle threading which really sets our bathroom off once the light catches it. Bed SOS: Win a black 4ft6 double bed! 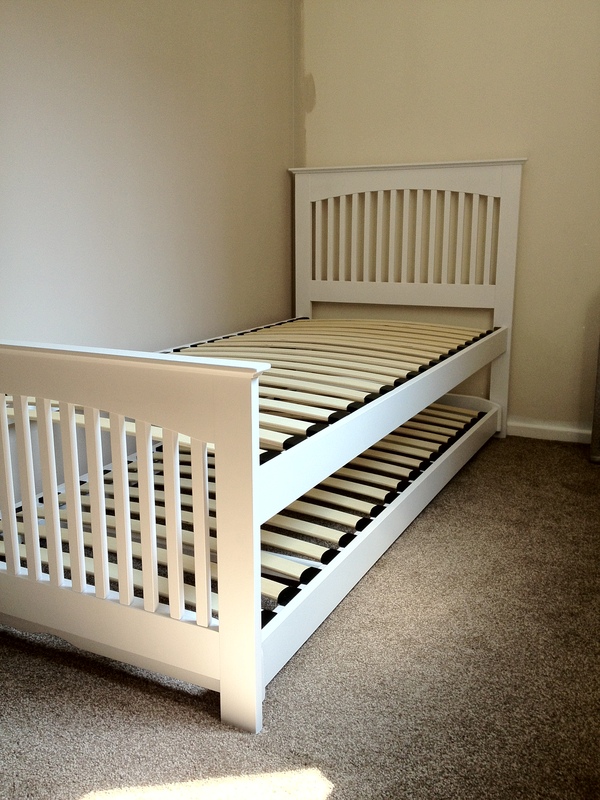 Bed SOS is giving one lucky winner a chance to receive a fantastic 4ft6 double bed (mattress not included). All you need to do is click here fill in the entry form and cross your fingers and toes! Good Luck! 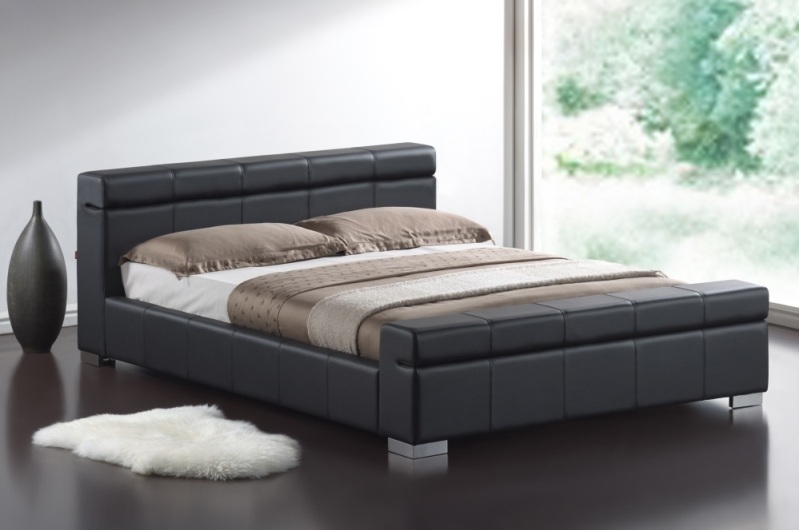 The 4ft6 Durham Black Faux Leather bed features a comfortable design, luxurious black faux leather finish, silver feet, chunky design and low footboard. Please Note: Competition closes midnight Thursday 31st May 2012. This competition is valid for UK Mainland Only residents.